The task: Transform your enterprise into a digital-first business. The timing: Preferably yesterday. 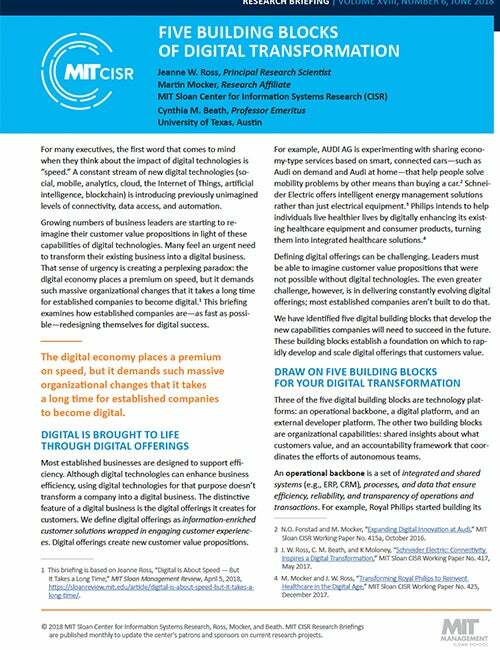 Get started with five digital building blocks – based on MIT research into success stories from leading companies. Copyright © Massachusetts Institute of Technology, 2018. This work was created by MIT’s Sloan Center for Systems Research (MIT CISR).